I cannot contain my chill about fall fashion! Booties and jeans, oh my! One little side note about me, I have a lot of chambray in my closet (like a LOT). Honestly from now until summer, you will find me wearing a chambray top at least once a week! Girl, there is no shame in my game. Depending on your mood, I believe that you can style one of these tops for the office or weekend brunch with your gal pals. 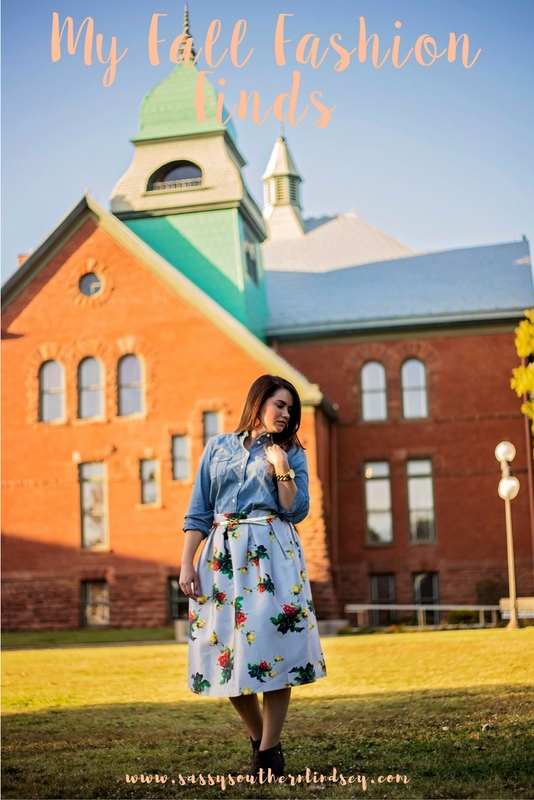 The skirt pictured above is so fun and feminine. I love how these two unexpected items pair so well together. Sometimes when I put together a baller outfit, I feel like a total boss. Today I have done a little roundup of different chambray tops varying in price points. Most of these tops can be found online or in store at J. Crew Factory or Target. If you have been waiting for a sign, here it is my friend! You need one of these tops in your closet! Alright, now let's get down to business. 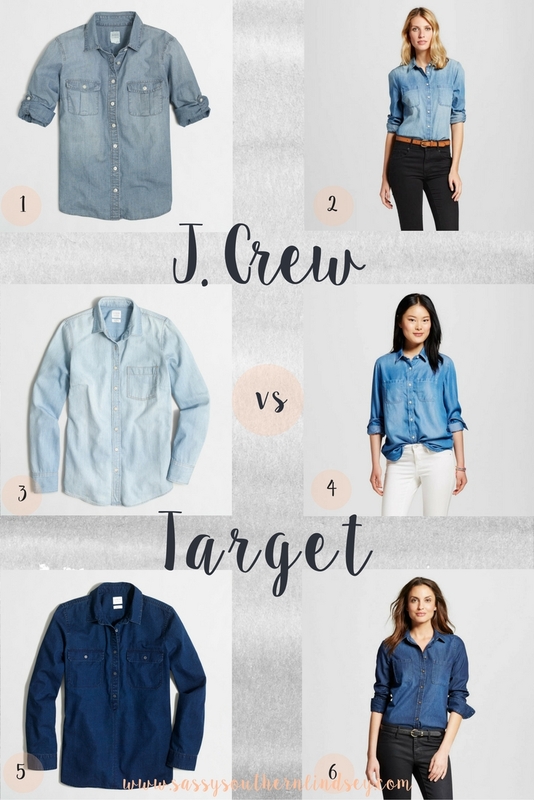 It's time for a chambray showdown! This top is a classic! Right now it's on sale for $39.50. I find that it gets softer with each wear and wash. It is on the thicker side as far as chambray tops go. It's very structured and stays pretty wrinkle free. This top is a lot like the classic chambray from J. Crew. It goes with anything you want to pair it with on the bottom; from black, navy, white, or animal print. I love it paired with a chunky statement necklace. This top is $24.99. This button down is on the lighter side. Right now it's on sale for $39.50. I don't currently own this top, but it's on my wishlist. I want it for layering over graphic t-shirts. This top is chic on a budget! If you do not want to spend $40 on a transition piece, consider checking this one out. Right now it's $22.99, and Target is running a sale, BOGO 50% off of clothing, shoes, and accessories. Do you love dark wash? This top is for you! It's currently on sale for $39.50. I do not own this shirt, but I have seen it a couple of times in person. My best friend has found a similar one at Target for less! Right now, the only size online is an XXL. However, I have a feeling that it will be restocked soon (fingers crossed). It's currently $24.99, This top a little different from the J. Crew option; it buttons all the way down. If you are looking to add darker colors into your closet--this would fit the bill. I want to hear from you. Currently how many chambray items are in your closet? Are you going to purchase one of these? If so, which one? I will be getting one of the dark wash tops. Fist bump for savings! Chambrays are the best! I currently only have one but I'm hoping to get some more. I love number 6 and 4!